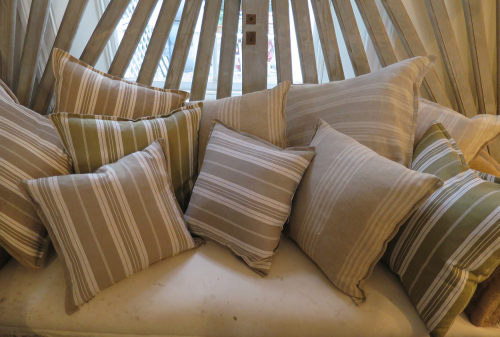 Lovely old French ticking has been used to cover these cushions - all in lovely faded shade of beige with different white stripes. 10 in all (i.e. 5 pairs) Buttons on the reverse for easy removal for washing. Feather and Down mixture in the inners.